Tobin Eshelman, DVM, earned his Doctor of Veterinary Medicine degree from North Carolina State University in 2001. 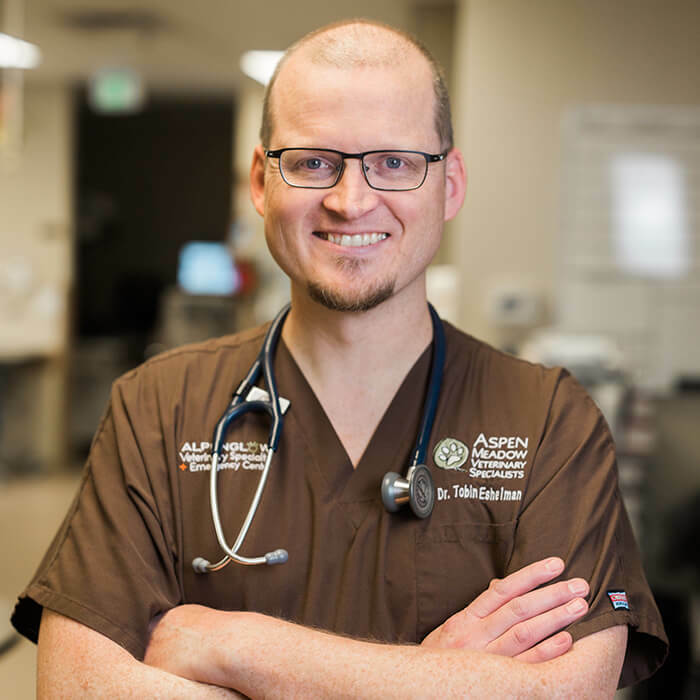 He then completed small animal surgical and emergency and critical care internships at the Veterinary Specialty Center of Indiana and the After Hours Animal Emergency Clinic of Wake County in Raleigh North Carolina. He finalized his specialty training by completing a small animal surgical residency position at the University of Illinois. Before joining the surgical team at Aspen Meadow, Dr. Eshelman provided specialty surgical care in private practice for many years.